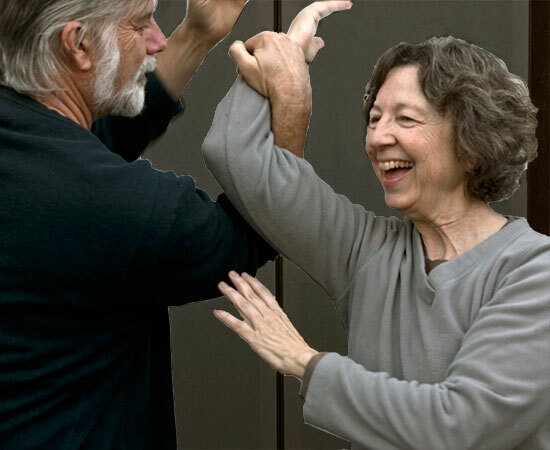 This 6 week class, co-taught by Ted Mancuso and Narrye Caldwell, is a perfect way to improve your Tai Chi skills, and take your practice to the next level. Not only will you have the opportunity to refine the short set you’ve already learned, you will also get an introduction to basic push-hands patterns and partner work which help to develop sensitivity, receptivity, and softness. Prerequisite: You must have either completed the 3 month short set class, Tai Chi for Health, or have equivalent experience with permission of the instructors. Narrye Caldwell, Doctor of Traditional Chinese Medicine, with 30 years Tai Chi experience. Narrye is a Licensed Acupuncturist with over 25 years of clinical and teaching experience. She has a private practice in Santa Cruz and is on the faculty at Five Branches University. Ted Mancuso, Director, Academy of Martial & Internal Arts, has been practicing and teaching the traditional Chinese Martial arts for more than 50 years. His many books, DVDs and articles in this area are internationally renowned, as is his site, Plum Publications, which offers the largest collection of material on these traditional Chinese arts. If you would like to use another payment method, click here.